The pipeline material grade is the piping components selecting and using regulations established by the designing institute or the engineering companies. And it is always given in the form of the excel sheet. 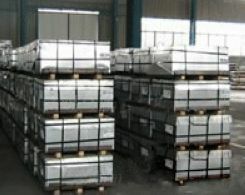 In addition, the engineering and technical staff can make sure the detail specific provision of all kinds of dimensions and specifications of the piping components on the conditions of some certain pressure, temperature as well as fluid media which are correspond to these detail specific regulations according to the pipeline material grade sheet. When the engineering as well as technical staffs choose piping components, they base on this pipeline material grade sheet. Every letter and every number in the pipeline material grade codes represents different meanings. And it is usual that there are two grade codes that represent pressure grade in the welded steel pipe and texture of material respectively. On the technological process map that draws the piping and instruments diagram, there are labels of pipeline pressure grade codes for every black steel pipe. Pipeline pressure grade codes usually consist of a couple of units, and every unit is represented by the letters as well as numbers. And they show the piping pressure grade in the welded steel pipe the main texture of material of the pipelines, seal or types of connection, corrosion allowance and other quality parameter separately. Except for that, every designing institute as well as engineering company has its own expressive method for piping pressure grade codes. Although different letters and different numbers are symbols of different meaning, the contexts they express are the same. Branch pipe connection table is a sheet given by engineering companies as well as designing institute, stipulating the types of connection of the main pipes as well as the branch pipes. 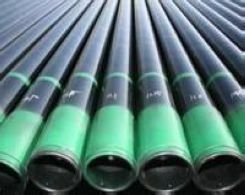 Technological staffs are able to find out what kind of connection methods the different main pipes and different branch pipes should adopt easily under every different piping pressure grade in the welded steel pipe according to this sheet. The main types of connection consist of connection of the welded pipes, API steel pipe, tee joint (isometric or reducing tee), direct connection of main pipes as well as branch pipes or connection of tee joint plus reducing pipe transition.